Housing problems have become increasingly complex in the Global South. An increased pressure to upgrade older stock, to provide adequate infrastructure, and bring city amenities to urban peripheries compounds the continued need for new housing of a decent standard. 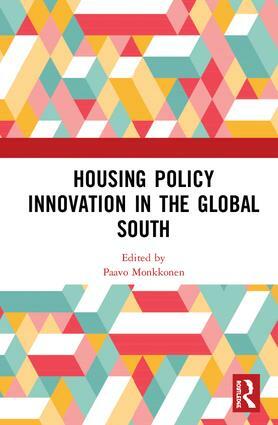 This comprehensive volume examines innovations in nine countries and analyses a wide range of housing policies in the Global South. The authors describe three persistent, global challenges to contemporary policy: the inherent difficulty in mass-producing housing of decent quality with access to the city; the challenge of community-based upgrading programmes, which often fail to benefit those who are worst off; and the political root of housing policies, which don’t always consider the diversity of populations at the expense of the least powerful. This book raises questions about what many consider the two most successful areas of housing policy in the Global South: the community-based land sharing programmes for redevelopment in South-East Asia and the finance-driven social housing programmes in Latin America. The authors examine mass housing production programmes, incremental development processes, community-based urban upgrading, the legal structure of condominiums, and land-sharing policies, while also highlighting challenges to policy learning across contexts. This book will be of great interest to students, researchers and those involved with contemporary housing policies, particularly in the Global South. It was originally published as a special issue of the International Journal of Housing Policy. Paavo Monkkonen is Associate Professor of Urban Planning and Public Policy at the UCLA Luskin School of Public Affairs, USA. He researches, writes, and teaches about the ways housing and urban policy shape urban development and social segregation in cities around the world.